One of the founders of Urdu literary criticism, great historian, religious scholar, political thinker and poet famous for his work on Persian poetry Sher-ul-Ajam. 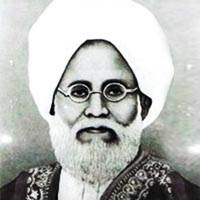 Scholar, Poet, Educationist, Allama Shibli Nomani was born on 3rd June 1857 in Azamgarh Uttar Pradesh. He is known for founding Shibli National College in 1883 and Darul Mussanifin in Azamgarh. Some of his famous books are Sirat-un-Nabi, Sirat an-Nu'man, Al-Faruq, Al-Ma’mun, Al-Ghazali, Imam Ibn-e-Tamia, Maulana Rumi, Aurangzeb Alamgir Par Ek Nazar, Safar Nama e Rome-o-Misr-o-Sham, Shiʾr al-ʻAjam, a history of Persian poetry and "Ilm-Kalam" a book on the history of Muslim theology. He died on 18th Nov, 1914 in Azamgarh.